Counselor to the president Kellyanne Conway struggled Sunday to name the most prominent African-American staffers in the White House. She only mentioned the first name of a staffer before criticising the media’s coverage of the administration’s policies that are focused on minority populations. There has been a renewed spotlight on the Trump administration’s dealings with race ahead of the anniversary of the clash in Charlottesville between white nationalists and protestors, and amid allegations Trump used a racial slur in an upcoming tell-all memoir from a former White House adviser. Counselor to the president Kellyanne Conway struggled Sunday to name prominent African-American staffers who work in President Donald Trump’s White House. 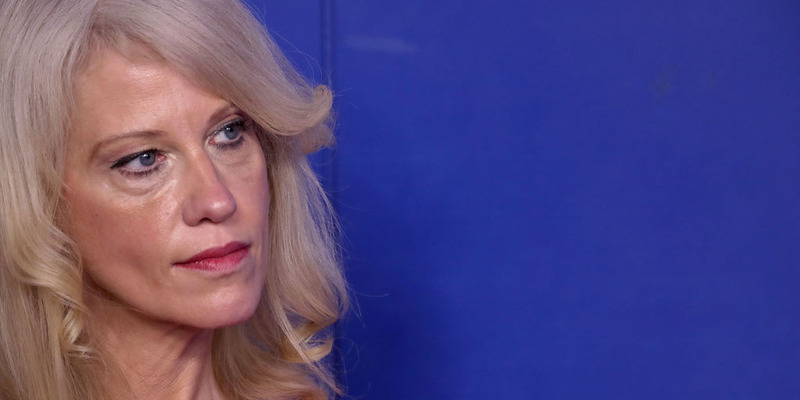 In an interview on ABC’s “This Week”, host Jon Karl asked Conway for the name of any top African-American staffer since White House adviser Omarosa Manigault Newman’s departure last year. “We have Ja’Ron,” Conway said, not including a last name. The Trump administration’s dealings with racial tensions have been subject to scrutiny in the midst of the one-year anniversary of a violent clash between white supremacists and counter-protesters in Charlottesville, Virginia that started over the removal of a Confederate statue. Trump tweeted Saturday ahead of the rally to wish peace and unity among Americans.